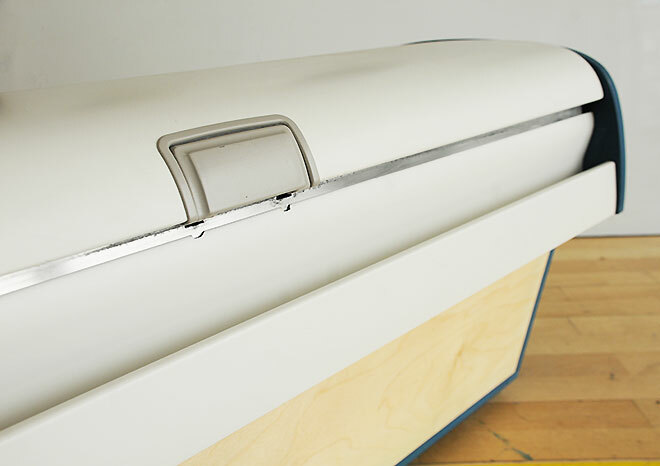 Even if you are not flying away today you can feel like it with this re-imagined aerodynamic Aircraft Trunk Bench. 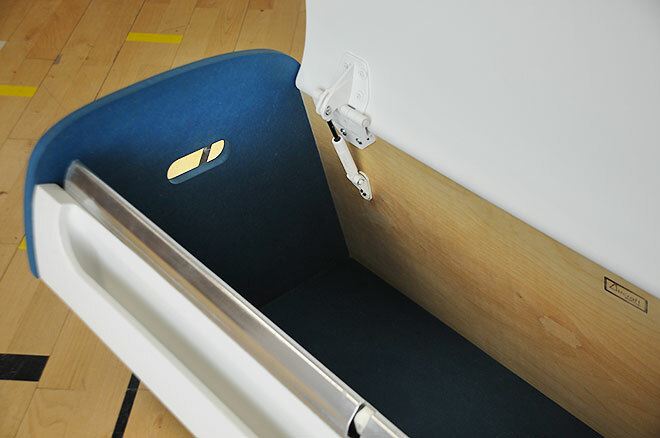 The perfect height for sitting and perfect for stowing/storing luggage/stuff. 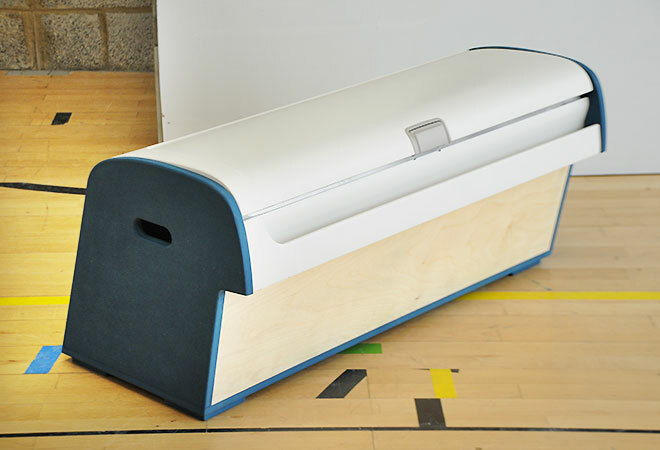 Designed and built in the UK by Harry Dwyer and Charlie Waller from the cabin storage lid and other accessories (including the original gas-struts so the lid opens slowly!) 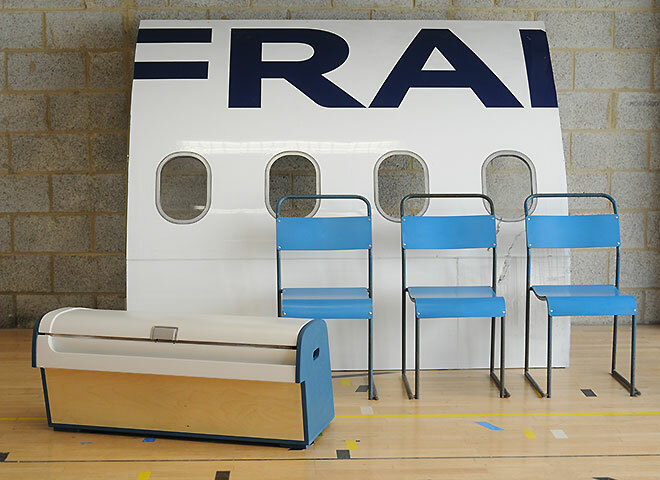 from an Airbus A320 along with birch-ply and recycled valchromat composite wood. (10% of the net sale price of this piece goes to childhood cancer charity NCCA UK). Shown here with some of our matching sky blue Cox Ski-leg Chairs.